In order to find the very best of Towson, The Towerlight conducted an online survey to discover the favorite places, people and things on campus and in the community. The winners are below. Every Towson student knows that when finals crunch time comes around, there’s no place better to study than the Center for Liberal Arts. Cook Library, while full of wonderful resources, has limited and crowded seating, especially if you need to use a computer. The CLA, meanwhile, has comfy little study spots around every corner. Not to mention if you make friends with your professor, they might be able to secure you an empty classroom for you and your friends to study in. The quiet room on the fourth floor is also a nice place to get some reading done, and looks especially beautiful when the sun peeks through the large glass window and fills the room with light. Acting I received the most votes for best class on Towson’s campus—and with good reason. This class, which fulfills the “Creativity and Creative Development” core is a lot of fun, and a great way to build lasting friendships between students. Acting I is a great way to gain confidence not only speaking in front of groups, but in not being afraid to express yourself. Well, what can we say? Another year, another Towson’s Best where students couldn’t agree on one professor that rose above all the others. This year, there were a handful of professors that got two or three votes, but nobody broke out. To us, that’s great news—it means that there is a great supply of high-quality professors on Towson’s campus. Maybe it’s got something to do with the 17:1 student-to-professor ratio? Small class sizes make for meaningful and impactful relationships, both between students and between students and their professors. Towson University Provost Tim Chandler has just finished his 16-month long stint as Towson’s Interim President and is ready to resume his position as Provost and get back to the work he says is most meaningful to him. Towson students have to give a huge thank you to Chandler for stepping up at a difficult time for the Towson community, and for working hard to give students and TU the things that it needs most. Notably, Chandler worked alongside a group of concerned black students during a nine-hour sit in last semester to revise and sign a list of demands, setting a precedent of teamwork for colleges around the country and worked in Annapolis to help secure funding for a new science building, a project that is waiting on votes before it can become a reality. Ultimately, we are excited to see what else he has in store for Towson! What can we really say about a bathroom? The CLA’s are large, well-maintained and accessible. Wherever you are in the building, you’re never far from a restroom, and the CLA is large enough that none of the bathrooms are ever that crowded. After months of anticipation, construction and road closings, the West Village Pedestrian Bridge opened August 2014, just in time for the new semester. The bridge makes walking from West Village to the main part of campus safer, quicker and easier–and it looks nice, too. However, nothing gold can stay, it would seem. The bridge has been closed since early in the fall semester because of the expansion work that’s being done at Burdick. It was nice while it lasted, pedestrian bridge. Maybe we’ll see you another time. While this project is certainly exciting, we’ve got some more waiting to do. The 94,000 square foot expansion to Burdick is slated for completion by next summer, in time to open for the fall 2017 semester. While the underclassmen will get to enjoy all the new features Burdick will offer, this means the current juniors and seniors are unfortunately kind of out of luck. The $34 million expansion will add multi-activity courts for intramurals and other athletic activities, a center for outdoor activities, a functional fitness course and an elevated sprint hill among other new features. If it’s your last semester and you’re in need of three credits to graduate, COSC 109 – Computers and Creativity comes through in the clutch. Don’t let the word “computers” scare you away, for little to no technical skills are required. If you can use a computer, you can succeed in COSC 109. As far as the “creativity” aspect goes, that is totally up to you. A set of projects is laid out at the start of the semester and you simply work at your own pace. The creative component is very much subjective to your skills and interests. That is what makes this course so convenient. COSC 109 is easily a go-to for any senior seeking those last three credits for graduation. When we asked this question, we expected people to give answers like “Lot 14” or “a faculty spot after 5 p.m.” Instead, we got a lot of votes saying that the best spot to park was off-campus, or that there was nowhere to park. One person even asked: “is this question a joke?” Towson University is growing, and that’s great for past, present and future students—but it may be growing, at times, too fast, and leaving too many students circling the garages helplessly. Turns out Towson students think the best place to print is pretty much everywhere: The Liberal Arts Building, the Union and Cook Library, to name just a few. The WEPA printing kiosks stationed around campus let you send documents from your room, your house, right down the hall or miles away via the cloud, email and similar systems. Or, if you’re old school, you can print from right off a thumb drive. The point is, it’s quick and easy and you hardly ever have to wait in line. It’s delicious, it can be nutritious and it’s only open around lunchtime. 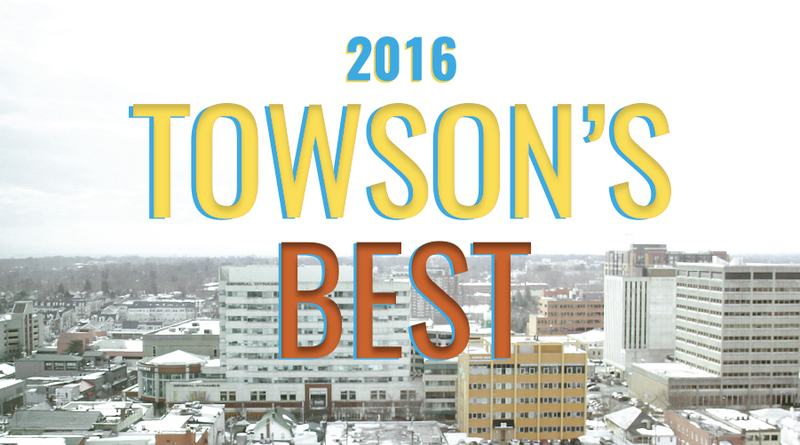 That’s right – this year’s Towson’s Best dining award goes to the one and only P-tux. 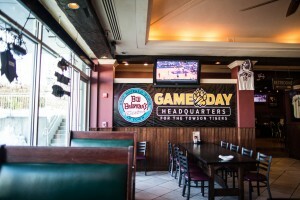 Patuxent offers an array of options and is easily one of the most customizable dining locations on campus, which might contribute to its popularity. It’s usually crowded, so get there as soon as it opens or you’ll get caught in a line longer than the textbook you still haven’t started reading. If you love living in Douglass House, do you have a Doug addiction? Douglass, in West Village, is not only home to the nicest style of dorms on campus, but to some of Towson’s more scholarly-types—it’s the Honors College housing. Its charm comes mainly from the students inside, who definitely embody a “work hard, play hard” mentality. Douglass is one of the closest knit communities on campus, and that’s mainly in part to the open, friendly atmosphere that the Resident Assistants create. With the ever capable Resident Life Coordinator Chris Ferraro, the Doug is in the best hands on campus. 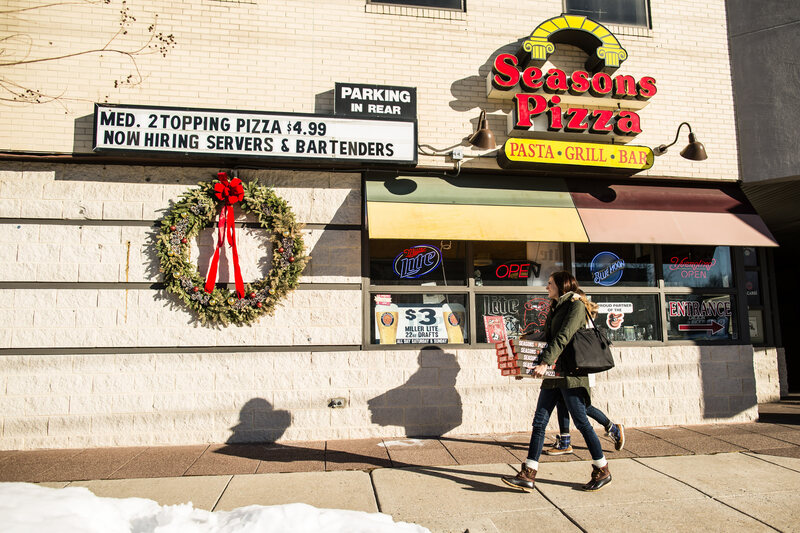 For the second year in a row, Seasons was voted best pizza. 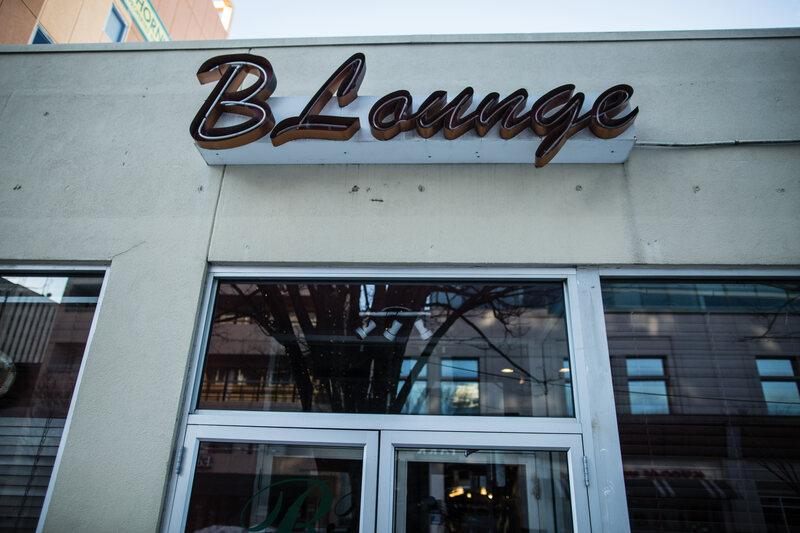 With a great location just up York Road from campus, late night hours and daily specials, it’s no surprise. 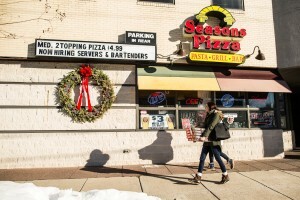 Other places, like Pasta Mista, gave Seasons a run for its money this year, but the votes were clear: when the pizza from Susquehanna or The Den isn’t cutting it anymore, Seasons is the place to order from. After a fun night out, Towson Hot Bagels (16 Allegheny Ave.) is the perfect breakfast spot to sooth the vicious pounding in your head. THB is the epitome of the morning-after-the-party place where everyone gathers in their sweats and yoga pants to recap the wild adventures and epic stories from the night before. Not sure what to order? Their Taylor ham is the perfect addition to any egg and cheese bagel sandwich. Just be sure to have someone save a table for your group, because seating is extremely limited on weekend mornings. 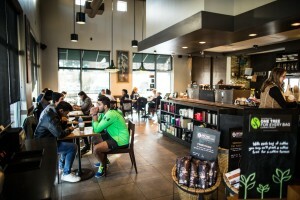 Towerlight readers agreed that the best local spot for coffee is Starbucks. The popular spot has two local locations for students, on campus in Cook Library and the corner of York and Bosley. Customers rarely buy a plain coffee drink when headed to the local shop – Starbucks’ strong astringent brews pair well with lattes, cappuccinos and many other drinks sold. 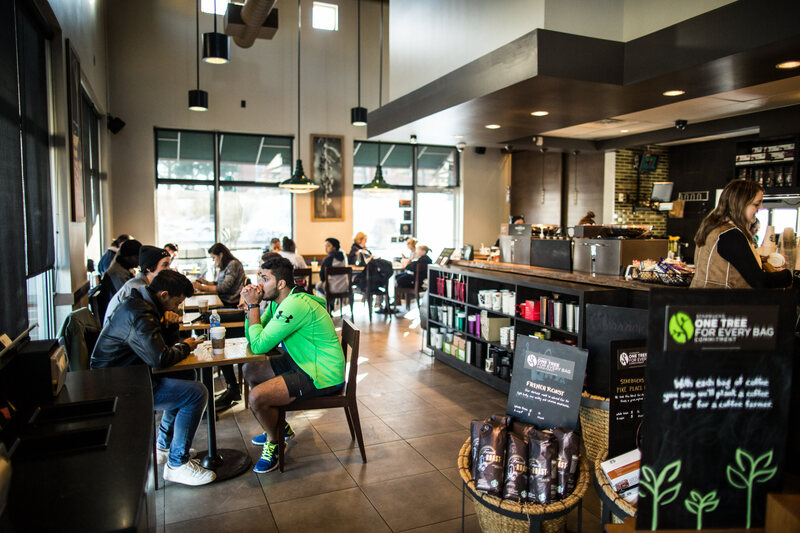 Convenience and consistency with drinks are just two of the main reason why Starbucks continues to be a repeat contender through previous editions of Towson’s Best. Cold Stone Creamery – because ice cream with toppings on top just wasn’t good enough. We owe an extra big thank you to Cold Stone for doing the work for us and mixing nuts, chocolate fudge, caramel, fruits, candy bars, sprinkles, gummy bears and basically anything else your heart desires into your frozen dessert. Luckily for Towson, we have a store conveniently located in the Towson Town Center, just a short trip from campus. If you are dying to get creative and pig out on ice cream, why go anywhere other than Cold Stone? 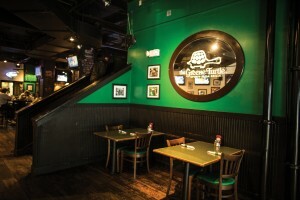 If you are going uptown with your friends – and you’re actually over the age of 21 – you are probably going to have a conversation that goes something like this; “Where should we go first?” “I don’t know, let’s just go to Turtle and then decide from there.” The Greene Turtle is basically everyone’s first stop when going uptown, and a great place to meet up with your crew before you are all too drunk to find each other. Their upstairs bar is a pain to get to with all those stairs, but totally worth it for the dance floor. Not to mention the outdoor patio complete with fire pits and a great view of York Road. Trader Joe’s (1 E. Joppa Rd) has successfully turned the chore of grocery shopping into a fun experience. Their creative food selection has something delicious for everyone, even the pickiest of eaters. Trader Joe’s always has awesome free samples in the back and the cheerful staff is always happy to help you find what you need. The frozen meal section is also perfect for the culinary-challenged college student who needs to eat on a budget. Plus, you can’t beat their 19-cent bananas. Torrent Night Club, a recent addition to uptown Towson’s nightlife scene, has been quickly growing in popularity since it replaced Recher Theater in 2014. It has attracted talented and local DJ’s to the area, and keeps things interesting with occasional theme parties advertised on their Facebook and other social media sites. If you’re looking for louder music, brighter lights, more dancing and heavier bass than what you might find at other bars in the area, then Torrent is where you need to be. Is this really a surprise? OrderUp took campus by storm last year when it launched in Towson. Soon, students were able to get Chipote, Fractured Prune, Towson Hot Bagels and other restaurants delivered to their dorm. Add in the killer marketing and weekly specials, it’s no wonder that TU is still crazy for OrderUp. Hey, everyone—just a heads up, Valentine’s Day is really, really soon. So, if you’re planning on making a big move and asking that special someone out for a first date on Valentine’s Day, consider the Cheesecake Factory in the Towson Town Center. With an almost too big menu, featuring salads, pizzas, pastas, steak and over 24 types of cheesecake, there’s something for everyone – and it’s pretty affordable. Add in great service and the ambient lighting, and you’ve got yourself a killer first date. Where else can you go until 1:30 a.m. to get either a sub, wrap or fresh pizza? 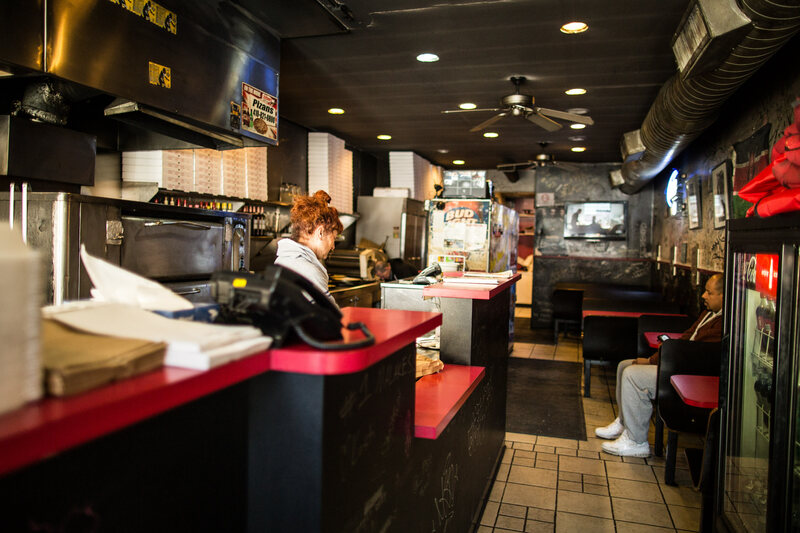 Pizans has been the hot spot for late-night eats for years and brings in a huge crowd after the bars close. It’s also known for its fast delivery and they even sell alcohol. Pizans continues to be a student-favorite at Towson and is in easy walking distance for those that live in the dorms. Towson’s football program rebounded from a 4-8 season in 2014 with a 7-4 record in 2015. The team’s younger players from 2014 stepped up and helped the Tigers get home wins against Villanova and Delaware. Towson barely missed the playoffs but completely turned the tide from its previous season. The team will return most of its starters next year in order to make another playoff run. Towson concluded its season with a 7-8-4 record. Despite missing the Colonial Athletic Association Tournament, the team strung together a six game winning streak in the beginning of the season. Junior forward Natalia Pinkney led the Tigers with 15 points and seven goals. Junior goalkeeper Taylor Sebolao recorded seven shutouts in the season. 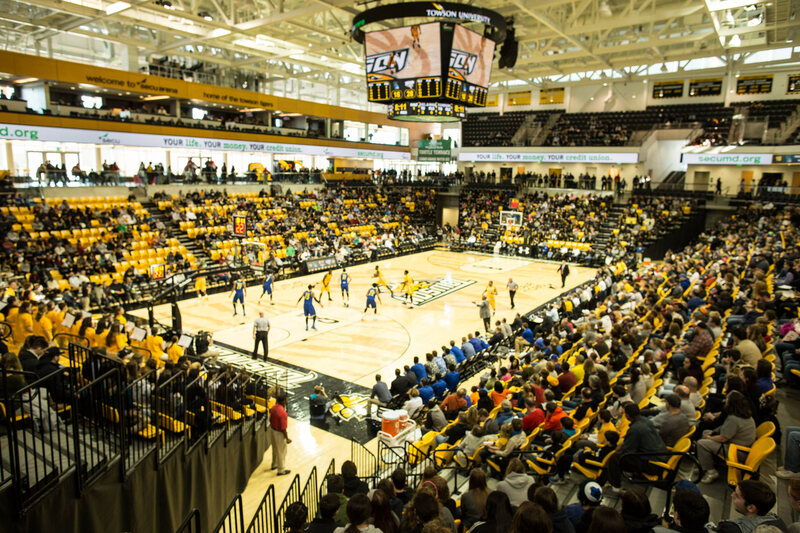 Johnny Unitas Stadium was a close second, but it’s hard to beat the appeal of the still-relatively-new SECU Arena. Not only is it a great place for the big name concerts that CAB brings to campus, but it’s a great place to watch a basketball or volleyball game with a bunch of your friends. Nothing beats the thrill of sitting in the student section when Towson’s basketball teams are doing well. Head Coach Rob Ambrose led the Tigers to a 7-4 record in 2015, and now has a 43-41 record as the coach for the Tigers. He has been the pivotal factor in turning the Towson’s football program around. Ambrose was able to take a young team from 2014 and almost flip the team’s record around. Ambrose will be back at the helm next season, as the team will look to top its seven-win total. Johnson is averaging 13.8 points per game this season and is also shooting 88 percent from the free-throw line. The senior guard averages 2.2 assists per game and leads the Tigers with 39 made-3-pointers this season. Johnson has been one of the go-to players for Towson, as the team will try and win the CAA Conference Tournament. Victor battled injuries throughout the 2015 season and still managed to rush for 1,021 yards and 15 touchdowns. The junior averaged 4.9 yards per carry and was the backbone of Towson’s offense. Victor now has 2,955 rushing yards for his career and will have the chance next season to move into second on the career-rushing yard list behind Terrence West. Bateman’s is literally amazing. First of all, it is actually attached to campus. It’s part of the 7800 building, which means it’s the ideal place to grab a drink after that excruciating calculus final. Second, their happy hour includes both great drink prices and a food menu where everything from their incredible wings to a pound of mussels is only $5. And, this happy hour not only takes place Monday through Friday from 3 p.m.-7 p.m., but then comes back again every single day for late-night happy hour from 10 p.m.- close. 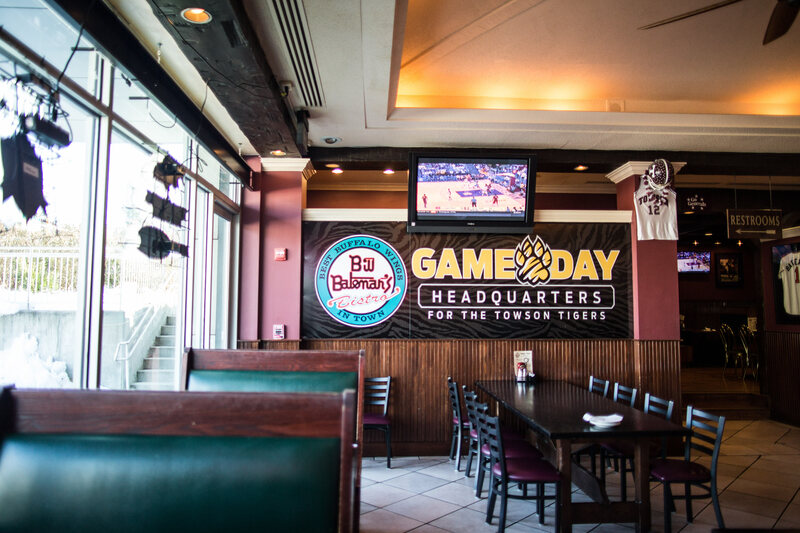 To top it all off, the bar and restaurant is decked out in TU merch creating a cozy university feel that can sometimes be hard to come by in the very residential city of Towson.